Why a Canon Partner Firebrand Apprenticeship? What is a Canon Partner Firebrand Apprenticeship? The Firebrand Canon Partner Apprenticeship Programme enables Canon partners to use the best-in-class training from the Canon Learning Hub, professional certifications and training wrapped around the Infrastructure Technician apprenticeship standard. Infrastructure Technician apprentices are taught how to support internal and external customers by using tools to problem solve and trouble shoot non routine problems. They'll understand how to set people up on systems and provides support when they need it, rectifying issues to maintain the organization's productivity. Demonstrate competence against five knowledge modules: Networking and Architecture, Mobile and Operating Systems, Cloud Services, Coding and Logic and Business Processes. These are assessed by examinations set by the British Computer Society and regulated by Ofqual. Apprentices must pass all five modules. Successful Infrastructure Technician apprentices go on into roles such as Help Desk Technician, First or Second Line Support and IT Infrastructure Technician. Apprentices will achieve two BCS knowledge modules and three Microsoft qualifications. What are the benefits of a Infrastructure Technician apprenticeship? When do Infrastructure Technician apprentices train? Who can enroll on a Infrastructure Technician apprenticeship? 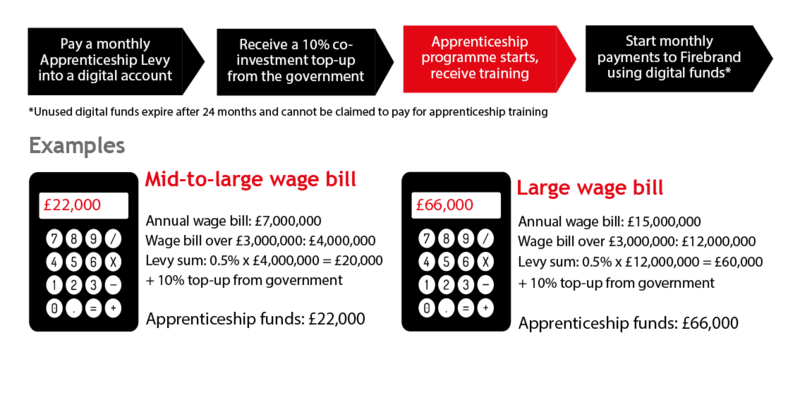 How much does a Infrastructure Technician apprenticeship cost? How are Infrastructure Technician apprentices assessed? What does a Infrastructure Technician apprentice's journey look like? How do Infrastructure Technician apprentices progress?